New! Hieroglyphic Alphabet stickers! Write your name in Hieroglyphics! Fun Activity for Kids, Homeschoolers, camps, birthday parties! Make Your Own Cartouche Stickers! 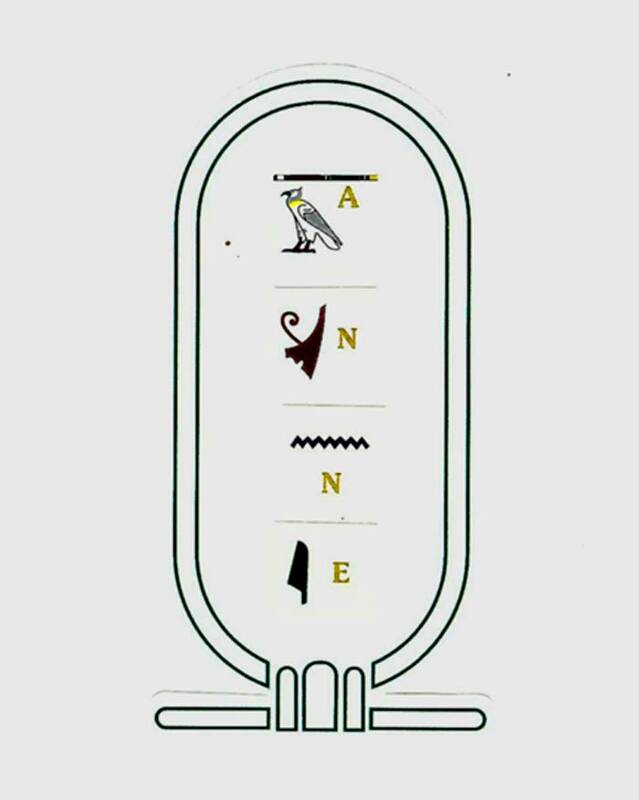 Kids can learn to read and write their names in the hieroglyphic alphabet! 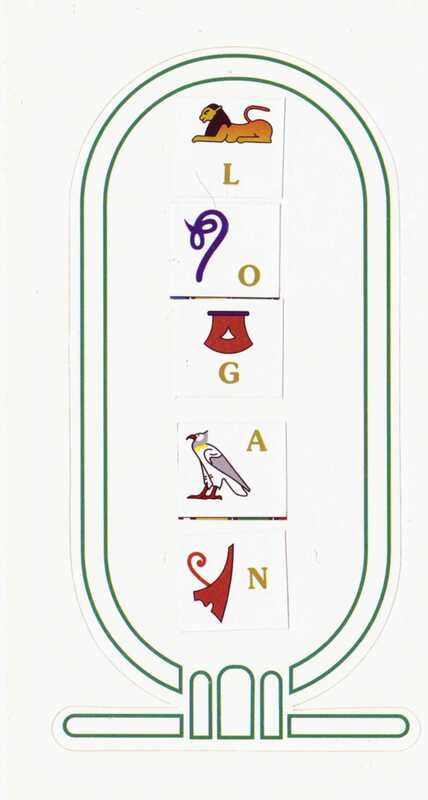 By putting the letters in the cartouche, kids can spell their names and make an ancient Egyptian nameplate just like the pharoahs of ancient Egypt. The stickers measure 6 x 9 inches. 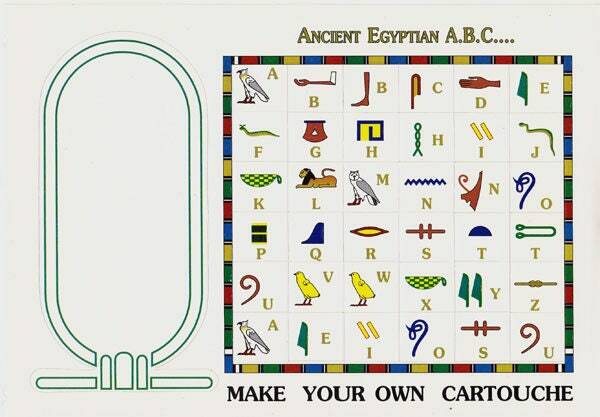 This is a fun way to introduce kids to ancient Egypt and to the hieroglyphic alphabet. Great for social studies units, home schoolers, Egyptian themed birthday party favors, fun gifts for students, rainy day, camp activity, stocking stuffers, Kwanzaa and more! Comment: "While researching Ancient Egypt, we made these in class. The kids loved making them, and even used the left over letters to make other messages." EXCCELLENT !! VERY PLEASED!! LOVE THEM!!! BEST BUY!! EXCELLENT.. !! the bomb!! love them.. very pleased!! awesome!! ! !